I teach, write and talk a lot about photography – traditional, digital and iPhone photography. Many people approach me to ask how to learn to be a better photographer. People who have been photographing for some time may find they are struggling in their quest to making great images. They ask if purchasing a “better camera” would help them become better photographers. Stand back, because that vexes me to no end. Why do I find this so cage-rattling? People will surely disagree, but in general, it’s not about the camera and photographic accouterments. At the very least, camera gear is secondary to a good grasp of the photographic principles of Composition, Light and Exposure. Yes, if you shoot with an iPhone, there are several physical limitations that can hamper what you can achieve photographically with the hardware. However, armed with the photographic understanding I speak of will help you understand those limitations better. You will understand why certain effects – like narrow depth-of-field – cannot be achieved in-camera, and you'll gain an understanding of how you can exploit those limitations for more compelling iPhone photos. What does being a “good photographer” even mean? It’s kind of vague because, in reality, how good, bad, or indifferent a photo is, is very subjective. If you are a typical photo-buff, and you’re not using your camera for money-making assignments, you want to make images that are not only pleasing to you, but perhaps even compelling to your audience. You know… the kind of photo that makes a viewer linger on it a bit longer than usual to allow the imagery to soak in. 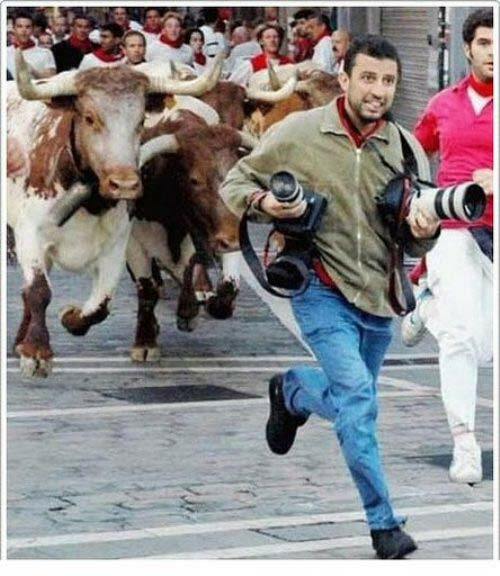 And so it is with many who go about taking lots of pictures – whether with their iPhones or their DSLR cameras. They may often find that they are disappointed with their photos – some of that je ne sais quoi is missing from their photography. 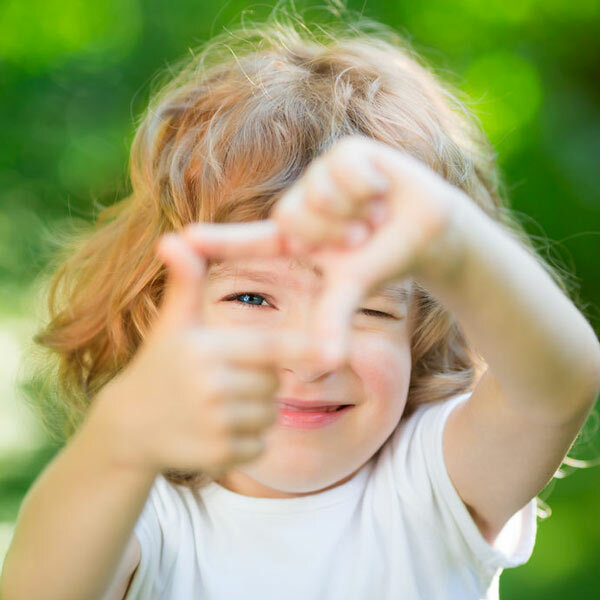 They appease that feeling by acquiring a new camera to “help them become a better photographer.” Their heart is in the right place, but the action they take is misguided. OK, so the essence of this article consists of recommending two or three ways to learn about those elements and techniques that will help you towards your goal of becoming a better photographer without spending any money on camera gear. Many people maximize their learning of any subject matter by physically attending a brick-and-mortar school. 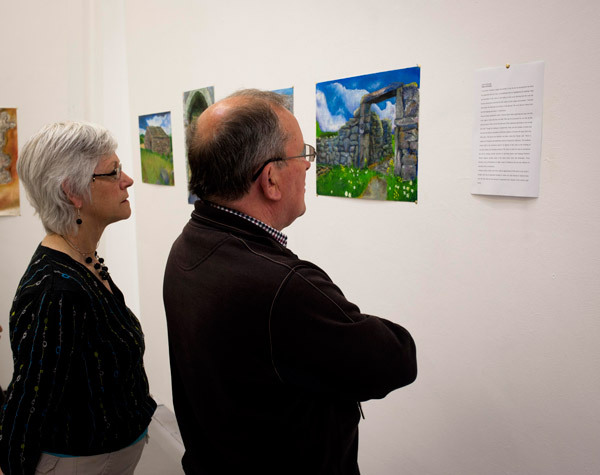 The camaraderie shaped around the social and group interaction aspects of such a venue are quite beneficial towards the learning process – especially in the area of visual arts. Search for schools in your area that offer “night/adult school” or continuing education programs. Look also for art schools that have both beginner level and more extensive and specialized photography programs. Photography classes have been, and still are, immensely popular. They are often taught by highly-motivated and enthusiastic amateur and professional photographers. Start with general or beginning photography courses that cover the universal photographic principles that I touched on above. The curriculum can certainly cover the ins and outs of digital cameras (including iPhones), but it’s the background information you want to make sure you study first and foremost. Here’s a tip: two- or three-hour courses are NOT enough. Also, the best way to learn is by doing, so make sure the course features student photo assignments and in-class critique sessions. The schools typically offer additional more advanced and specialized courses, such as Product Photography, Studio Lighting, Portrait Photography, iPhoneography, and more. The next level to consider includes the more immersive and intense multi-day photography workshops. You're practically guaranteed to have a more intensive, distraction-free educational experience. From having attended two separate week-long, all-day courses at the Santa Fe Workshops in New Mexico, I can tell you unequivocally that these two courses amounted to my best, most valuable photography learning experience. It may be on the pricey side, but I can’t recommend Santa Fe Workshops enough if you want the schooling – and practice – in classic photography as well as in more specialized topics. There are tons of excellent workshops offered world-wide and at all times of year. These are always hosted and led by professional photographers with years of experience. To get an idea of what's available out there, talk to other photo enthusiasts at a local camera club, or simply do a Google search for “photo workshops." To get you started, go to the Photoshelter Blog for a recently published page of links to all kinds of photo workshops. 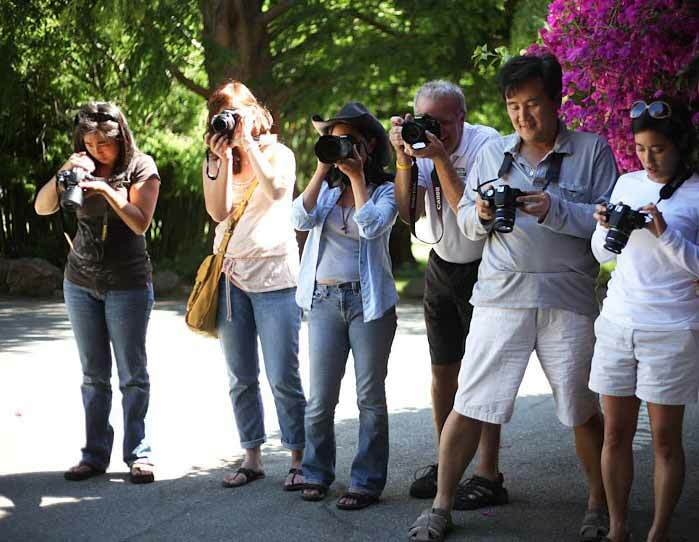 A Photo Walk is a welcome feature to any photography class or workshop. It's a day taken up by walking about at a particular location while taking pictures in the company of fellow photo enthusiasts. These are fantastic and a lot of fun. Photo walks promote learning through fellowship and mutual education. You practice, you experiment, you chimp, you pick up tips from and share your own with the others in your group. 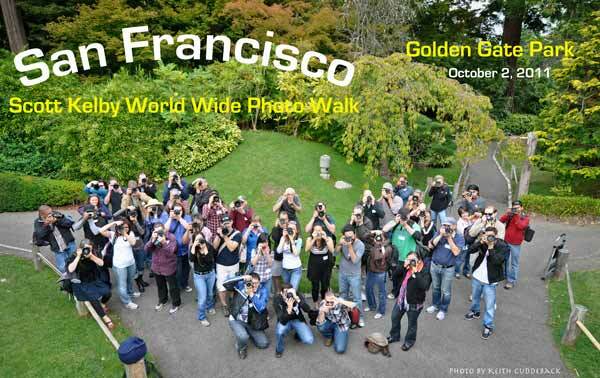 A huge, highly popular multi-city worldwide photo walk that takes place each year on one particular day is the Scott Kelby Worldwide Photo Walk. I hosted a couple in Delaware, and it was a fun and valuable time for not only the three dozen participants but to me as well. The interwebs are replete with all kinds of photography-related stories, articles, resources and education. If, for whatever reason, you do not want or like to attend a class in person, no worries. You can find excellent sources of self-paced instruction, tutorials or other forms of online training on the web. In the area of photography-related web sites and blogs for self-paced learning, if I have to recommend just one, it has to be the Digital Photography School. This site has been around for quite some time and is dedicated to teaching photography techniques to photographers of all levels and interests by way of numerous excellent articles and lots of example photos. As for web-based photography training, I recently discovered an excellent online, real-time photography instruction program offered by a long-time podcaster. Shawn King of the Your Mac Life Show just celebrated his 20th anniversary as an Internet broadcaster covering all things Apple. He started his weekly show in 1994, way before podcasting was even heard of. Over the past seven years or so, Shawn has become an avid, advanced-amateur photographer. But, don’t let that "amateur" moniker mislead you; Shawn himself touts the fact that he is not a professional photographer. 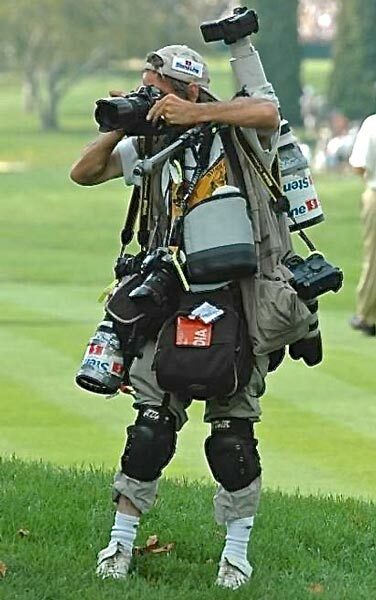 To which I ask, “what does the term ‘professional photographer’ even mean, anyway?” Making money with a camera does not a good photographer make. In past years, Shawn has offered day-long special pre-event photography workshops at Macworld | iWorld. He’s built-up a reputation for being an excellent photographer, knowing of what he speaks, and exhibiting a great teaching ability to boot. Recently, Shawn began offering a two-and-a-half hour, on-demand, one-on-one (or small groups of five or less) photography training session on Google Hangouts for $50. It turns out that Google Hangouts provides a unique, highly personalized platform for teaching just about anything; an incredibly valuable venue for learning. I hope to see a lot more of this type of instruction be developed for many subject matters. As part of his company, Starting Point Photography, Shawn teaches a course is called Photography Tips & Tricks. Personally, I feel he should give the course a title with a bit more impact because this is not a session where someone just tosses a bunch of lame tips and tricks at you – ones you can pick up for free anywhere on the web. No, no… via this live, interactive and personalized class, the student is exposed to those truly important topics that helps him grasp those photographic principles of composition, light and exposure that take the novice – or even the more experienced shooter – to the next level… and beyond. This course is the perfect starting point – hence the name – for anyone interested in doing much more with their photography than the average shooter could ever hope for. The end result: outstanding images that make viewers look at least twice. I was curious about Shawn’s course. I saw his offering as a unique door-opener to more interactive courses. I paid my $50, and rather than schedule a one-on-one session with Shawn, I wanted to be part of a small group of attendees just to observe the interactive aspects of this course. My participation was on a Saturday with Shawn and two other attendees, one of whom was from Australia. I came away highly impressed, not only with the technical aspects of this kind of training and the Google Hangouts venue, but also the value of Shawn’s course to any budding photographer. The other students were clearly delighted with the session as well. In fact, they mentioned most emphatically that they came away with some awesome insights on new and different ways to look photographically at everything around them. They finished by expressing a desire to get out there and try out their newly-formed ideas thanks to the stimulating discussion during the course. Shawn succeeds through his tips and techniques, and through many example photographs that he shows the students via screen-sharing. The overall thrust of the course is to show you how to take better photographs with the camera you already have. This speaks to the point that I have made here, as well as in several other articles here on TMO, that photography is more about how YOU see photographically, and how well you understand how your camera sees, rather than what KIND of camera you have. Once the two-and-a-half hour course has concluded, the students are not shown to the door and simply given a fond farewell. Those who have completed Shawn’s course are encouraged to participate in a members-only, on-going Google+ forum as well as in a private Flickr.com photo group. The Flickr group promotes reinforcement through practice of the principles learned in Shawn’s course. Shawn, who says he is not a professional photographer but a "professional explainer," promises to make the next photograph you take better than the last one. I believe he delivers on this promise, and I believe that the $50 fee is reasonable considering the personalized and interactive aspects of the course. If you are a beginner and/or frustrated photographer, this course is a great starting point for you. If you are a bit more seasoned, you can certainly use this course as that shot-in-the-arm you’ve been looking for in order to overcome photographer’s block. Shawn's course will help you get out there, flex your creative muscle by using your camera, and capture compelling images. Visit the Starting Point Photography’s Tips & Tricks Class web page for more information. Whether you are an iPhone photography enthusiast, or a DSLR or other camera shutterbug, and you want to improve your photography by enhancing your photographer's eye, you will not accomplish this by purchasing new gear. Your eye will still be that same-old eye that still sees the same-old way. So, to become a better photographer, learn to look at the world around you differently. Read all you can about photography, look at lots and lots of photos (flickr.com is a great place for this), take lots and lots of pictures, experiment, study your photo metadata, understand how your camera works and how it "sees." Most of all, never stop learning. It doesn't matter, because your images will stand out above all the rest!